Drake’s new album Scorpion has only been out since Friday, but it’s already made history. 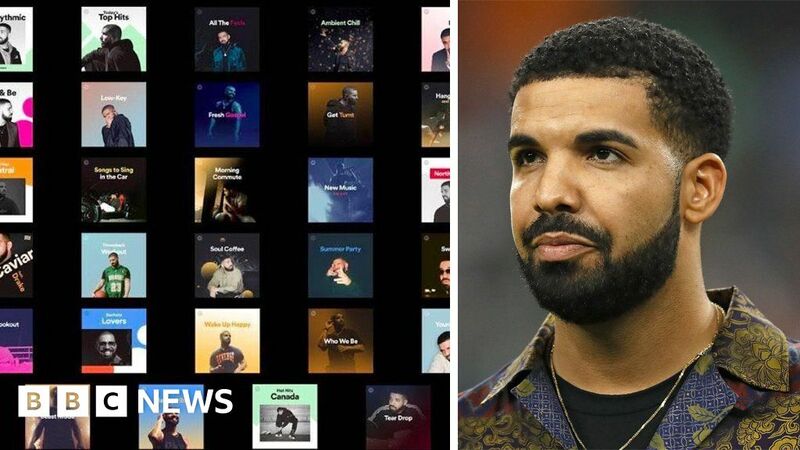 But some users complained that Spotify put his photo on hundreds of playlists – including ones that didn’t feature his music, such as “Best of British”. Subscribers who’d paid for premium, ad-free accounts said it amounted to advertising and demanded refunds. One subscriber said he had been offered one month’s free subscription as a result of his complaint. “I pay for premium because I do not want to see or listen to ads,” he wrote in a chat with Spotify’s customer support team, a transcript of which was posted on Reddit. A member of the support team replied: “I agree with all the things you’ve mentioned” and offered to refund his most recent payment. Other subscribers who attempted to submit a claim got mixed results: Some were given a month’s free subscription, while others had their request denied. Spotify declined to comment on the situation; but the BBC understands no official refund policy has been put in place – and that the number of complaints has been relatively small. In fact, they streamed his album more than any other in history. According to Billboard, Scorpion broke Spotify’s one-week streaming record in just three days – racking up 431m streams over the weekend. In the UK, the album is set to reach number one – beating new releases by Florence + The Machine and Gorillaz. All 25 of its tracks would appear in the top 40, if the chart rules hadn’t been changed last year to prevent such a phenomenon. Although most of the changes are minor, In My Feelings has gained new vocals from Lil Wayne, and Jay-Z’s contribution to Talk Up has received a volume bump, after some fans complained he was mixed too quietly.